KATHMANDU, April 28: The country's Muslim community has expressed serious concern over the government's decision to hold the second phase of the local polls on June 14, saying it will be very difficult for Nepali Muslims to participate in the polls as they would be observing the festival of Ramzan. The month-long festival of Ramzan starts from May 27 and Muslims observing the festival fast from dawn to sunset during the festive session. “Media reports say that following an eight-point deal, the government and the agitating Madhesi parties have agreed to hold the local polls in two phases - on May 14 and June 14 .This has drawn our attention,” reads a statement issued by National Muslim Struggle Alliance on Friday. Saying that Muslims fast and prey and carry out other religious activities for the entire day during Ramzan, the statement says it would not be easy for Muslims to participate in the polls. 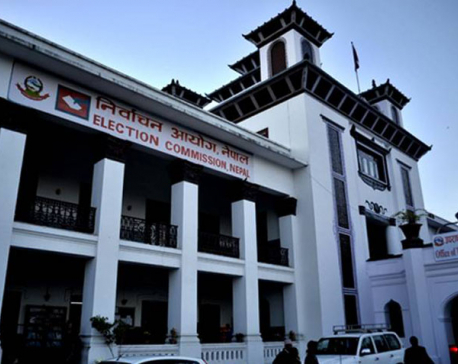 The alliance also submitted a memorandum to the Election Commission demanding to change the polls (second phase) date on Friday. “The elections must be held. But we strongly demand with the government to hold the elections before May 25 or after June end. We request the chief election commissioner to take initiative for this demand to get addressed,” reads the statement signed by President Samim Ansari and Spokesman Mohammad Sahid Ali of the alliance.